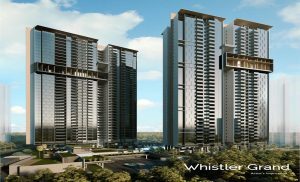 Last weekend, City Developments Limited (CDL) commenced previews for the 716-unit Whistler Grand – the latest residential launch in West Coast. Located along West Coast Vale, the new premium residential development enjoys excellent connectivity to Jurong Lake District, touted as Singapore’s second Central Business District (CBD). 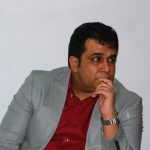 The project is expected to be officially launched in early November. It has convenient access to four MRT stations: Jurong East MRT station (interchange station for the North-South and East-West MRT Lines), Clementi MRT station (on the East-West MRT Line), upcoming Pandan Reservoir MRT station (on the Jurong Region MRT Line) and a future MRT station (on the Cross Island MRT Line). Designed as a lush sanctuary, the latest residential launch has two distinctive 36-storey towers that offer panoramic views of the city, Pandan Reservoir and Bukit Timah Nature Reserve. About 80% of the site area (totalling the size of two football fields) has been devoted to landscaping and over 60 recreational facilities across six clubs. Special prices at the latest residential launch, Whistler Grand, will start from S$608,000 for one-bedroom, S$792,000 for two bedroom, S$1.198 million for three-bedroom, S$1.568 million for four-bedroom and S$1.788 million for five-bedroom. Dual-key options for three- and four-bedroom units are available. 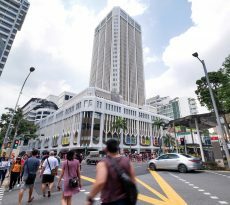 Average selling price is S$1,380 per square foot. Typical unit sizes range from 441 square feet (sq ft) for a one-bedroom to 1,442 sq ft for the five-bedroom. 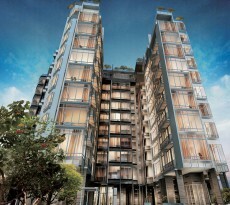 The development also offers two exclusive 5-bedroom flexi-penthouses. Besides being close to MRT stations, Whistler Grand is a 10-minute drive to the established Jurong Gateway Precinct, offering 250,000 square metres of retail, entertainment and dining spaces sprawled across Big Box, IMM, JCube, JEM, and Westgate, as well as integrated healthcare facilities such as Ng Teng Fong General Hospital. 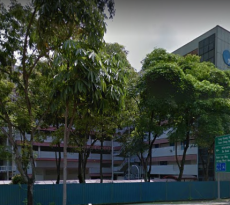 The latest residential launch is also located within one kilometre of Nan Hua Primary School and Qifa Primary School, and is near established education institutions such as Canadian International School, National University of Singapore, Ngee Ann Polytechnic and Singapore Polytechnic. 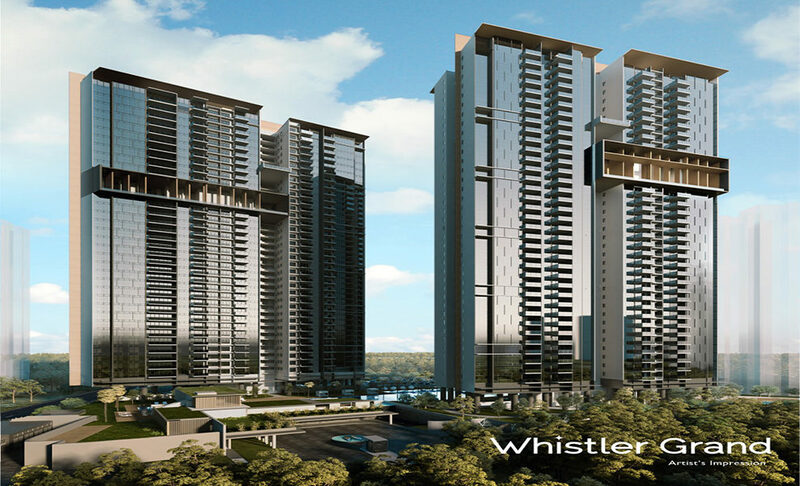 Moreover, Whistler Grand’s proximity to Fusionopolis, International Business Park, Mapletree Business City and leisure hotspots including Holland Village, Rochester Mall, HortPark and West Coast Park will be attractive to professionals and expatriates. The 210,883 sq ft landscaped sanctuary features over 60 facilities across six clubs including a Cantilevered Gym, Lap Pool (88-metre), Pool Cabanas, Spa Lagoon, Sky Lounge, Aqua Swing, Urban Farming and Parkour Gym. At two sky terraces, Sky Club (level 24) and Star Club (level 30), residents can enjoy sweeping views while ideating, meditating, entertaining, or gazing into the night sky from the astronomy observation deck. With Whistler Grand’s unblocked orientation especially on the sky terraces, residents will be surrounded by the gentle whistling wind, a sensory experience akin to what one can experience at Canada’s resort town of Whistler which hosted the 2010 Winter Olympics. Residents can also unwind on the River Hammock or laze in a teepee tent at the Glamping Garden. Active young ones can take play to a new level at the Adventure Club featuring a Climbing Wall, Aqua Flying Fox, Aqua Course, Water Slide and Trampoline for the kids. Furthermore, residents of the latest residential launch will have exclusive access to fee-based Residential Services that are thoughtfully tailored to meet their needs. Catering to varied lifestyle requirements, select units offer curated features such as integrated storage with shoe rack and full-height mirror at the foyer, walk-in wardrobe or accessories cabinet in the master bedroom. Dual-key three- and four-bedroom units comprise a studio with its own fully-equipped kitchenette and bathroom. Each apartment is adorned with luxurious sanitary wares and fittings from brands like Duravit and Grohe, as well as finest kitchen appliances from Bosch. To enhance house security, all units are installed with the Wireless Smart Home System, comprising Smart Home Gateway with Pan and Tilt Camera, Smart Voice Assistant, Smart Digital Lockset, Smart Door Sensor, Smart Air Conditioner Control and Smart Lighting Control. The Whistler Grand show flat, located along West Coast Vale, will be opened from Saturday, 20 October 2018, from 10.00 am – 7.00 pm. Marketing agents for Whistler Grand are ERA, Huttons and PropNex. Seeking a loan to purchase one of the units in the coveted Whistler Grand but don’t know here to start? Well, iCompareLoan mortgage broker can make things a little swifter and more affordable for you. We can provide you with a range of services including consultation, analysis and short listing of loan packages from different lenders. The baseline of our services is to help you compare home loan Singapore, and settle for a loan package that’s favorable in terms of interest and repayment terms.